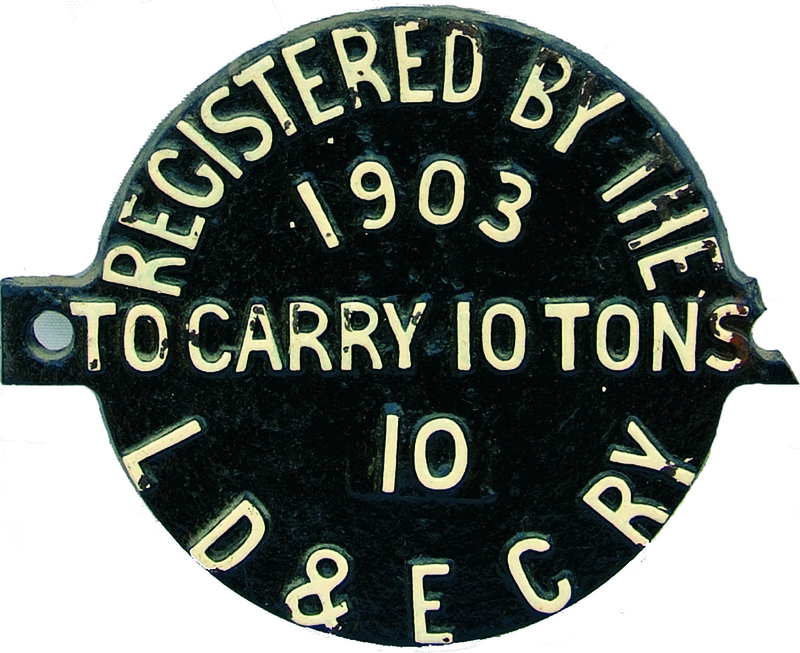 Wagon Plate Registered By The LD & EC Rly 1903 To carry 10 Tons number 10, circular C/I complete with lugs albeit one lug has a small amount of loss. Incredibly rare and just number '10'. Together with a similar Registered By The N.E.Ry 1919 To carry 20 Tons number 8935. This one is missing both lugs.